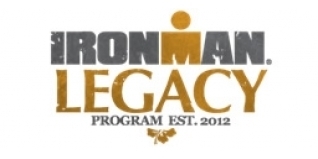 Yesterday IRONMAN announced the 100 age-group athletes who have earned a chance to race at the 2016 IRONMAN® World Championship through the IRONMAN® Legacy program. Of that 100, five British and one Irish athlete have been awarded spots at the 2016 World Championship. athletes must have completed a minimum of 12 full-distance IRONMAN-branded races. have never started the IRONMAN World Championship. have completed at least one IRONMAN event in each of the 2014 and 2015 seasons. be registered for an IRONMAN event in 2016. Related Article: Do Legacy spots belong in Kona? "It is important for us to recognize and reward our most loyal and long-term athletes," said Andrew Messick, Chief Executive Officer of IRONMAN. "Our Legacy athletes are the heart of our sport and are powerful ambassadors. Their loyalty to and love of IRONMAN is inspiring."